Weibo is back and stronger than ever! Since the launch of WeChat a little less than seven years ago, Weibo has been fighting a tough fight for users and exposure. But towards the end of 2017, the Chinese social media giant regained momentum and won back the hearts of users in the fast-evolving internet ecosystem. Optimistic figures of performance were recorded in the third quarter last year, with monthly active users amounted to 376 million, 27% more than the same quarter in 2016. The success of Weibo as a full-service digital ecosystem is by no means accidental. Cao Zeng-hui, vice president of Weibo, attributed the achievement to the efforts Weibo put in video content, vertical segments and multi-channel networks (MCNs). Riding on the explosive growth of short-form online videos in China, Weibo has strategically steered its content towards this multimedia format, fostering a staggering 175% consumption growth compared to the same quarter in 2016. Working closely with large television channels and content producers, including sports leagues like the NBA and NFL to keep its short videos topical and refined, the micro-blogging site also launched features such as Slideshow (光影秀) and Weibo Story (微博故事) in the first quarter last year to encourage user-generated content. 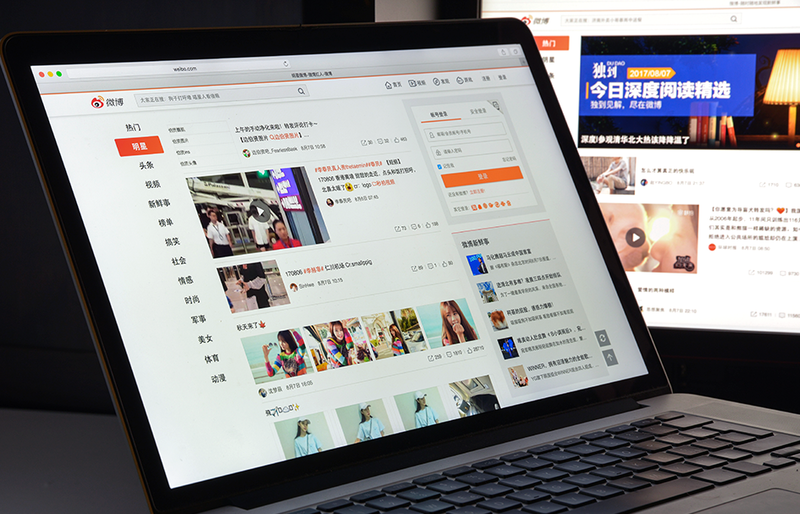 Weibo has been actively creating the presence of 55 vertical content segments, covering food, fashion, sports, pets, education and more. It instigates key opinion leaders and multi-channel networks to create in-depth, specialised content for that particular segment, thus allowing each segment to build stronger user loyalty and cultivate better endorsements. Critics described this business model as one that coupled top content creators and e-commerce to generate impressive growth in revenues. As a result of its strategic planning, Weibo is able to strike back and rebuild a presence in China’s competitive social media landscape. And its marketing potential to help your brand gain a foothold in the China market is not to be underestimated. Feel free to chat with us if there is anything we can help!